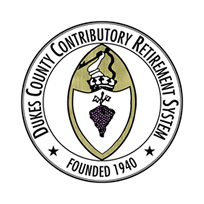 Regular compensation is the amount of earnings upon which a member pays retirement contributions. Regular compensation will be used in determining a member’s final average salary, which is one of the factors used in calculating a retirement allowance. Compensation must comply with statutory and regulatory requirements in order to be pensionable. For a full description of “regular compensation” as defined by the Massachusetts General Laws, please see 840 CMR 15.03 .
amounts paid for insurance premiums or for not participating in the employer’s health insurance plan.